If you did the smart thing and designed an efficient structure as seen on the picture, the next step is to turn it into an even more powerful SEO asset. How? Use anchor texts with keywords. It helps the linked pages to rank for the keywords you use. Don’t have orphaned pages. An orphan page is any webpage on your site that no other page on your site links to it. Users and search engines alike will have trouble finding it, and it won’t rank well. Don’t have dead-end pages. A dead-end page doesn’t link to any other pages, making it unable to pass authority, or help any other page rank higher. Don’t nofollow your internal links. Users can click on any links they can see, but the same is not true for search engines. They can’t “click” on the links marked as nofollow. It’s all right to do this with the outbound links on your site, but not with the internal ones: the linked pages will not be crawled and ranked. Your navigation bar has links that point to every major page on your site. It’s normally placed at the top of the screen. It’s also common to put it on the left side, but this option is less mobile-friendly. It’s just like the navigation bar, but at the bottom of a page. Note that this doesn’t go well with infinite scrolling: if more content keeps appearing as you scroll, it pushes down the bar away out of view. This can be a problem if you actually want your users to click on the links in the footer. An absolute must for all websites with too much content to sift through. Search engines can’t use a search box themselves, but they can definitely acknowledge it as a bonus to user experience. How is SEO for a local business different than for any other site? Simple: location is a major factor. Online user traffic isn’t the end goal in local SEO; you want users to show up in person and be your customers in real life. This is true even when you have the option of delivering your goods to their homes. What do you need for successful local SEO? They are like your ordinary keywords, but with the name of your location included (such as “bowling club in London“). Keywords with “near me” or “nearest” in them can also work but note that Google will mostly use the phrase “near me” to show users something close to their known location. Signing up on Google My Business is an absolute must, but don’t stop there: the Internet has a myriad of directories where your business would fit right in. Always make sure your business is relevant to the directory and keep your information consistent across them all. If you change something, you should change it everywhere you are registered! Backlinks from relevant and authoritative sites are always good, but votes from local sites carry even more weight (not to mention visits from local users). Research the websites in your location whose backlinks could really benefit you – and then earn those backlinks. It’s as straightforward as it gets: if many customers like you, that means you must be good! Enable customer reviews on your site and always ask customers to leave a review. If you mark up your site with structured data, Google will be able to display additional bits of information about your business in search results. Phone number, open hours, customer reviews – all this information helps users decide if you are good enough for them, so it’s definitely good for you as well. You need to know the level of your site’s performance in case there’s something that needs improvement – and most of the time, there is. 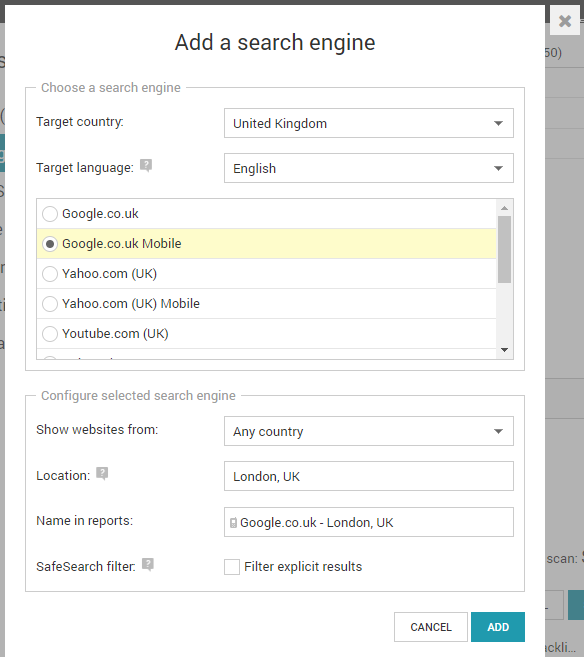 Check your business site’s rankings with WebCEO’s Rank Tracking tool and remember to choose your location in the settings like in the screenshot. Have you heard that voice search is expected to be the source of 50 percent of all online searches in 2020? Only one year to go until we know if that comes true! It’s crazy how fast time flies. Even crazier what the future holds in store for us. In the meantime, the best we can do is to prepare for that massive change. When it happens, the web will never be the same – and by extension, neither will SEO. Here’s how you optimize your site for voice search. Use long-tail question keywords that start with words like who, what, why, where, when, and how. For local SEO, you will definitely want your site associated with your location’s name, county, state, and nearest cities (“near Wichita Falls”). Voice search results usually aren’t very long (around 30 words), but are still concise enough to provide satisfying answers. Voice search takes the result from the very top, which sometimes is Position 0. Ranking first is no longer enough! This is another way to become the top search result. Backlinks from reputable sources are the best means to get there. 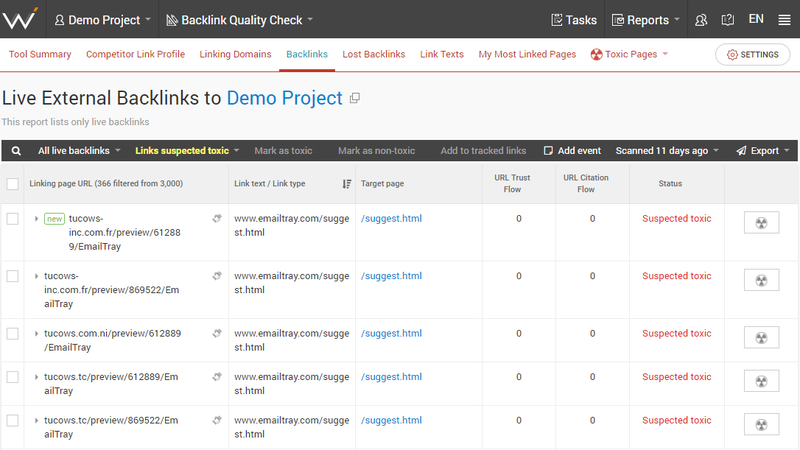 Keep yourself safe from poor quality backlinks by using WebCEO’s Backlink Quality Check tool. Mobile traffic rises, and the mobile-first index to meet it. While desktop computers remain important, Google prioritizes the web on mobile devices now. All it took was for one to be more portable than the other. The cell phone industry realized its potential, and now you can access the Internet from almost anywhere. A mobile device isn’t exactly the same as a PC – it will provide a different user experience. And Google takes user experience seriously. The key to making your site rank in the mobile-first index is this: make the user experience excellent for mobile users. That’s in addition to the above-mentioned SEO basics, of course. Doing so will give your site the ability to automatically adjust its content to a mobile screen, no matter how big or small. The fewer kilobytes in them, the faster they’ll load. Do whatever it takes. Set their height and width yourself. Save them in the format that will yield the lowest file size. Get rid of unnecessary redirects. Be frugal with how many elements per page you use. Choose a fast server or a content delivery network for your site’s hosting. Don’t use popups that obstruct the entire screen or a big chunk of it. Don’t put elements on the pages too closely (such as lines and paragraphs of texts, images, buttons). Leave some room between them. 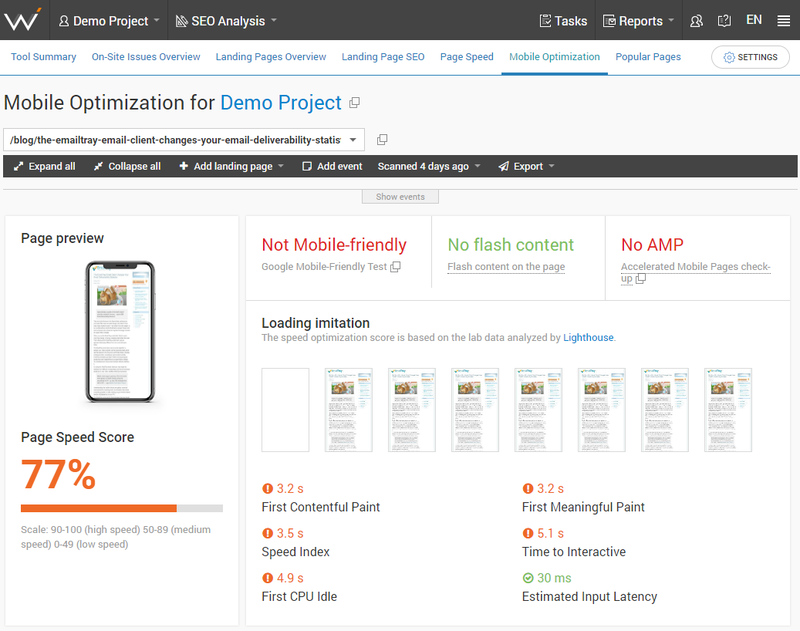 Be sure to test your site with WebCEO’s Mobile Optimization tool to see how well you’ve done – and what else you can still do. Want to See Steps 6-10? For the complete list of the most effective SEO methods, tips and strategies, please download the SEO Guide 2019: Your Strategy for This Year below. This guide was created exclusively for WebCEO users. Sign up now and make 2019 the year you blow your competition out of the water!